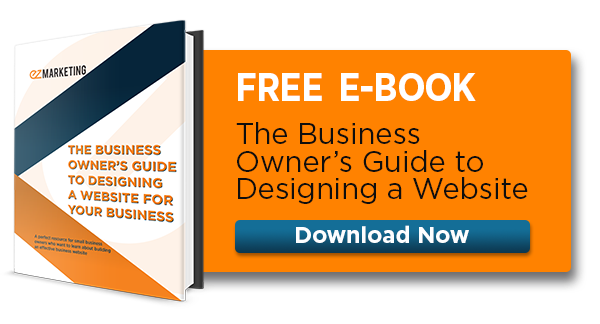 You've probably put a lot of time and money into your website's design. The colors are vibrant, your logo looks fantastic, and it’s full of beautiful imagery. But it’s still not delivering the results you want. Could your website copy be to blame? Web users have notoriously short attention spans, which means if they don’t find what they’re looking for quickly, they’ll leave without a second thought. Are you turning customers away without even realizing it? 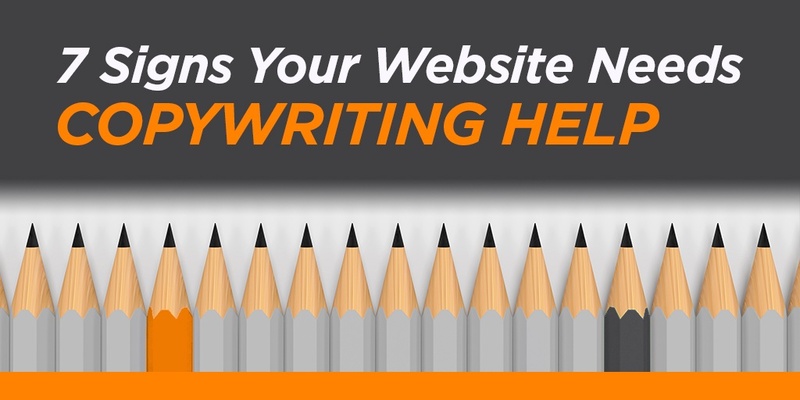 Check out these 7 signs you need help with copywriting to find out. Your homepage is your first chance to grab your prospects' attention and tell them how you can help them solve their problems. Unfortunately, many businesses miss this opportunity by talking about themselves first and their prospects second (or not at all). Does your homepage sound something like this? "We're XYZ Corporation, specializing in award-winning widgets since 1965. Our team of world-class experts offers the best widgets in the world, while providing industry-leading service to our customers." The harsh truth is: no one cares. Your prospects don’t care how long you’ve been in business, or how great you say your product or service is. They need to know that you can help them solve their problem. People are motivated by their own self-interest first. What are their problems and frustrations? What solutions do you have that can help? After you've answered these questions, try focusing your homepage on a specific problem your typical customer might have, and engage them by offering a solution to the pain point. "Leaky pipes? No hot water? We can help! Call our team of experienced plumbers now for fast service." Copy like this makes prospects feel like you understand their needs and reassures them that they’re in the right place. When you engage your customers first, they are more likely to read on, pick up the phone, or fill out your contact form to get more information. If I told you that a blanket that I'm selling is made from 100% fleece polyester, does that mean anything to you? What if I told you that the blanket is made from super-soft fleece polyester made to keep you warm and comfortable on cold winter nights? Big difference, right? 100% fleece polyester is a feature. Super-soft, warm, and comfortable are the benefits. Too often, businesses focus solely on the features of their products or services, leaving the customer to figure out the benefits for themselves. Benefits sell products more than features ever will. 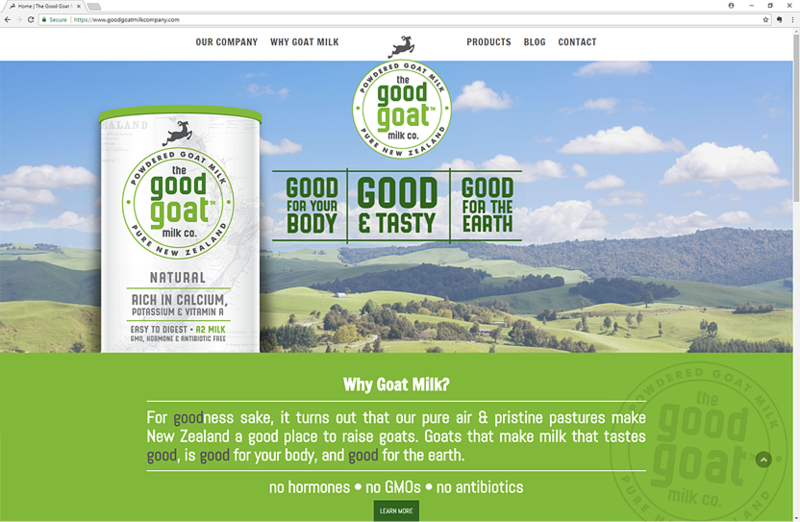 Take this example from one of our customers, Good Goat Milk Co, who sells powdered goat milk. Notice how they keep their benefits front and center, which makes a much bigger impact than focusing on technical features. Features: No hormones, no GMOs, no antibiotics. Benefits engage the senses and encourage the customer to imagine themselves using the product. If you can make your product part of their vision of themselves, you’re one step closer to getting the sale. So how do you extract the benefits from your product features? Just add the words "so that means…" to the end of your feature to find the hidden benefit. For example, "This printer offers duplex printing mode (feature), so that means you can easily print documents on both sides of the page at the same time. (benefit)." You can do this with services too. For example, if you were promoting a telephone answering service you might start with "A live attendant answers all calls (feature), so that means your customers speak to a real person who can help them right away (benefit)." Does your website contain technical language that the average person doesn't understand? If so, you're missing an opportunity to connect with your customers and show them you can help solve their problems. Companies like American Express are rebelling against corporate-speak, because they know that if you don’t talk to customers in a way they relate to, they’ll leave your site in search of someone who does speak their language. How do you do this? Avoid using business jargon in favor of clear, direct language. Don’t use industry-specific terms unless you know that 95% of your customers will understand it. When you do need to talk about a technical concept, make sure to explain any acronyms or buzz words, and stay focused on explaining the benefits in plain English. 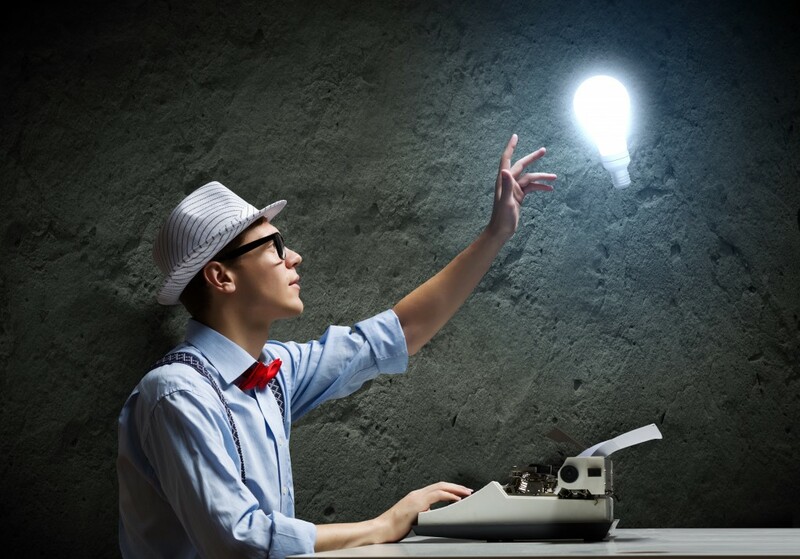 Writing this way will help you connect with your customers and outshine your competitors at the same time. Is the tone of your website serious and formal like an academic paper or proposal? Do you use words that would have the average user scrambling for a dictionary? If so, your potential customers probably won't stay around long enough to get your message. Impactful website copy should be conversational in tone, like you’re sitting across from your customer chatting one-on-one, not like you’re presenting an academic dissertation. If you want to sound less formal, write how you normally talk. Use the word you. Use contractions like won't or aren't. Don't be afraid to start a sentence with a conjunction like "and," "but" or "or" (Just don't tell your high school English teacher). Shorten your sentences. Be clear. Relax. 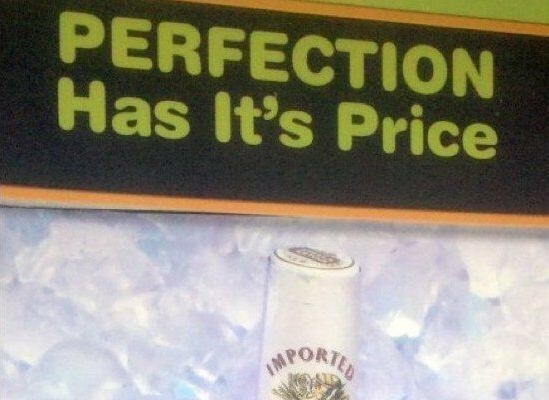 Studies show that 59% of web visitors would avoid doing business with a company who made obvious grammatical or spelling mistakes. These simple errors on your website can seriously harm your business’s credibility. Everyone is going to miss a comma or a typo sometimes, but it’s worth investing the time to proof and edit your website to make sure it looks as professional as possible. Are you using a lot of generic words on your website that sound good, but don't really communicate your message? Phrases like "high-quality," "great service," "low prices," etc. are overused and don’t tell your customer much, because everyone says them. Instead of filling your site with generalities, try zeroing in on the details. For example, rather than saying you provide “great service,” talk about your same-day appointments or transparent pricing and returns. No one says they provide “bad service,” so you have to find ways to differentiate yourself and build trust. The more specific you can be, the better you'll paint a picture for your customers and persuade them to buy from you. One of the biggest mistakes most businesses make on their websites is not asking potential customers to do anything. They simply assume that visitors will know what to do next. But just as any good salesperson knows, you have to ask for the order. In fact, this is one of the biggest keys to a successful website that generates leads for your business. To generate more engagement, interest, and leads, give each page of your site a goal. Then ask the customer to take the next step towards that goal. Do you want them to call you, fill out a form to receive a free report, buy a product, sign up for a newsletter, or something else? After you decide on the desired next step, ask the prospective customer to take that step with a clear call to action. Fill out the form below to get your FREE _____. Be sure to add a call to action to every page on your site and watch your leads, phone calls, sign ups and sales go up. Did any of these 7 signs ring true for your website? Chances are you have some work to do. If you need help in updating your website copy, we offer web design and development services and we'd be more than happy to help revamp your website. This article was originally published in January, 2015 and was updated in March 2018.